It might seem odd that, although it’s been a good 15 years since I’d seen her last, Coral looked exactly the same as she stepped out of the helicopter and ducked across the helipad. Come to think of it, she pretty much looked the same as I remembered her from elementary school days, going on adventures up in Piiholo or hanging out in Pukalani. Suddenly, I was giddy with happiness at seeing my old friend and simultaneously fighting the urge to pinch myself as the helicopter blades swooped overhead. “Who does this?” I thought. I’ve had my share of visits to wine country regions in California and abroad in New Zealand. 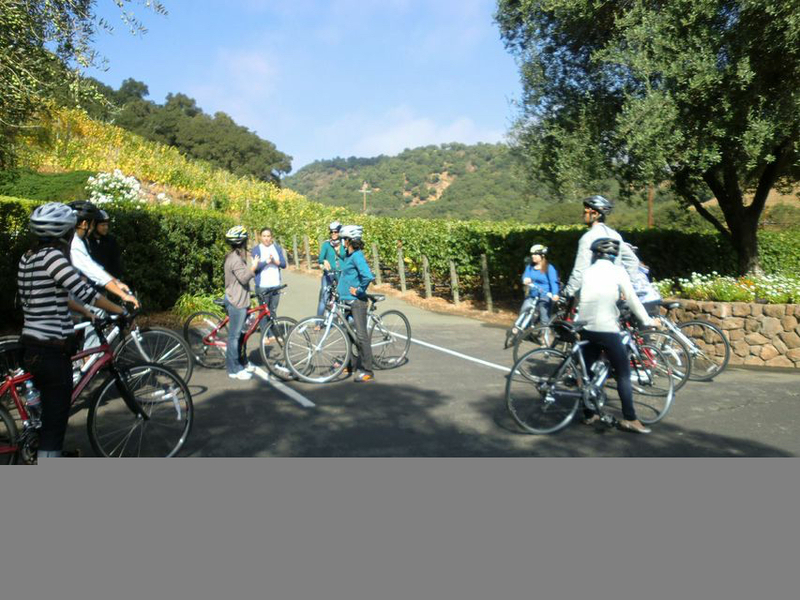 I’ve been on self-guided tastings by car, with friends in a stretch Hummer limo, and even once by bicycle. But wine tasting by helicopter? This was something new for me. And an opportunity I couldn’t turn down, of course. If you’re ever lucky enough to have the time and ability to invest the money in getting a group together for a few hours of wine tasting in Oregon’s wine region – home to some of the best Pinot Noir I’ve ever had – I highly recommend Precision Helicopters. It may seem like a luxury only available to the rich and famous. And don’t get me wrong – I’m not saying it’s not cheap, but if nothing else, it’s a once in a lifetime indulgence that truly made the most of the precious few hours we had, covering a wide range of geography without the hassle of fighting traffic in and out of Portland. Instead, we were whisked away and treated to a bird’s eye view of the surrounding towns and landscape, and in a mere 10-15 minutes, we’d arrived at our first tasting room. Penner Ash has a beautiful tasting room and we were able to try a Viogner and a Reisling before moving into their popular Pinots. Afterwards, we sat outside to enjoy the view over Chehalem Valley. I love the thought of being able to come here to have a picnic or to enjoy wine by the glass or by the bottle, which is one of the tasting options available, weather permitting. As we climbed back into the helicopter, I got my first taste of what it must feel like to be a celebrity. As the helicopter blades whirred to a steady hum overhead, I looked out and noticed some of the winery staff standing outside with cell phone cameras in hand, filming our lift off. I hate to disappoint them if they were expecting someone famous, so I we all put on our shades and gave a little wave. Ha! For our next stop, Tyler pointed out vineyards and Willamette Valley geography on our way to family-owned Willakenzie Estates. Willakenzie specializes in Pinots made to express Oregon terroir in a French style, with an emphasis on sustainability and organic growing methods. I especially enjoyed the crisp 2011 Pinot Gris before sampling the reds. Our group all agreed that the 2011 Aliette Pinot Noir was our favorite overall. Prior to our last stop, we made a quick detour to pick up another childhood friend, now living in Oregon. As we touched down in a parking lot, we again got the celebrity treatment, with people filming us as Marie waved from below. Granted, I already had had a few rounds of tasting under my belt, but it was so heartwarming to get together with yet another Maui girl for such a unique experience! We were all smiles on the way to our final stop. Touching down at Domain Serene, the three of us gathered outside the helicopter for a proper hug. It had been years since I’d seen Marie and Coral and despite living nearby, they rarely saw each other as both were busy with work and family. In between tasting our way through the entire menu, we chatted and munched on cheese, crackers and fruit that the girls had packed. I loved the elegant descriptions of the Domain Serene reds given by our hostess, comparing them to such glamorous women as Marilyn M onroe and Jackie Kennedy. The 2009 Yamhill Cuvee Pinot Noir (aka “the Marilyn”) had a hotter growing season, leading to more lush fruit and a slightly higher alcohol level. I fell in love with the just slightly spicier 2010 vintage, which was the “Jackie” and ended up taking a bottle home to enjoy later. …So, how much does it cost? Wine tasting by helicopter may sound ridiculously indulgent at first blush, but it’s actually not as bad as you might expect when you consider the efficiency of time since you’ll likely be up in the air much shorter than you’d spend sitting in a car in traffic, and who wants to do that? More time means more tasting, and having a guide means no one needs to drink and drive. And of course, there is the benefit of beautiful bird’s eye views over Oregon Wine Country. For comparison, one year we got a group of about 12 together to do a bike tour in Napa with a company called Gears and Grapes, which offered an instructor guided tour by bike along with lunch (and a van trailing to pick up stragglers and to hold our purchases), which costs about $160 per person for 6 hours, covering 3-4 wineries. In New Zealand and in Sonoma, I’ve joined group day- or half-day tours that cost anywhere from $70 to $150 or so and visit anywhere from 3-5 wineries. It’s definitely a cheaper way to experience wine tasting, but takes a bigger chunk out of your day. 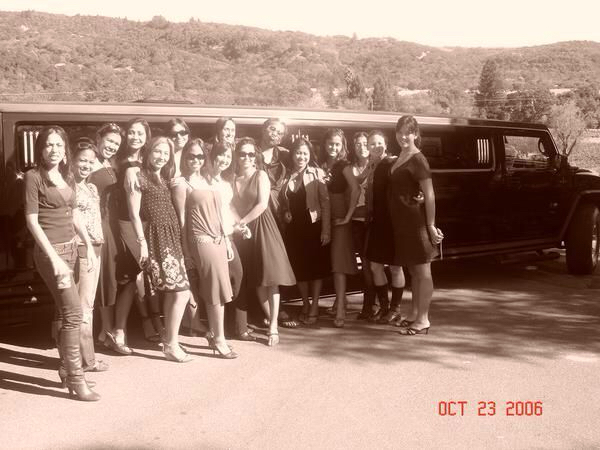 Another year, we got 18 of our friends together and rented a stretch Hummer limo from Beau Wine Tours to pick us up in San Francisco and drive us to and from Sonoma. The tour included complimentary champagne at pick up, lunch and four winery visits over 8 hours (I think we stretched it to 9). Divided by 18 of us, we paid about $125 per person and a great time was had by all, of course. This option would definitely mean getting together a larger group. If you don’t have 18 girls and a full day to spend on a wine tour by limo, a helicopter wine tour can be an intimate option for a small group. Although not all wineries accommodate a helicopter landing, Precision can help to customize a tour to your preferences. If you’d like to visit 3-4 wineries, you’ll want to allow yourself about 3 to 4 hours, whereas a driving tour would require at least 5-6 hours without including travel and time sitting in traffic. And let me tell you, the views definitely beat being stuck on a highway! To give you an idea, we were able to visit 3 wineries in about 4 hours, and our tour would have likely run about $1500 for the three of us, including tasting fees. Precision offers a variety of tours ranging from $750-2000 with aircraft accommodating 3-5 passengers. >> Photos from our day of Wine Tasting by Helicopter can be viewed here. >> For other recommendations of things to do, see and Eat in Portland, please visit my Portland destination guide or check out the links below.